After Whipping Post, Trey welcomed the crowd to the second set and apologized for taking such a long break. 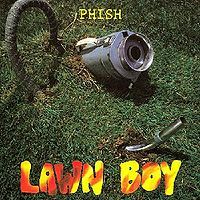 The comments were in reference to their last show in the Keene area (2/22/90), at which heavy smoking and/or a fire alarm resulted in the show being aborted after the first set. Possum ended with a Sailor's Hornpipe tease from Trey. This show marked the first and only known performance of Metal Bagel Death, which was a dedication to some friends who had recently opened Keene Bagel Works across the street. YEM contained a Flash Light tease from Mike. Trey briefly reprised Caravan after If I Only Had a Brain and teased Simple Gifts in the intro to Contact. After acquiring a few tapes of Phish in my freshman year in college. I finally got my chance to see them in person. Me and a crew of friends then made the half hour drive down to Keene to see the band. The Colonial Theatre is an older 2 level vaudeville type theater that seats about 850 people. It also had a 20 foot open orchestra area in front of the stage which made it perfect for dancing. The show was not sold out and in fact was about 2/3 to 3/4 full with open areas in the back and in the balcony. A smokin intro, "Whipping Post" started the show off at a quick pace that soon became feverish. Then things slowed down with an a Capella of "Sweet Adeline" before segueing into TMWSIY where Mike then really shines in "Avenu Malkenu". 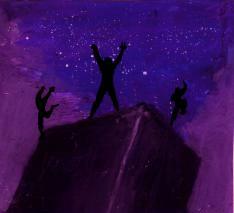 After a standard Bouncing, "Possum" gets the momentum back up to a feverish pace. "Metal Bagel Death" Is more of a gag than a song. It seemed that Trey was planning on dedicating "Reba" to Keene Bagelworks. However, Fishman being a prankster announces "Metal Bagel Death" then beats on his kick drum yelling "Bagels!" while the crowd and the rest of the band look at Fishman laughing. YEM has a great moment where Trey leads Mike into Parliament's "Flash light" and proceeds to funk up the rest of the song. This is followed by a solid "Lizard's"
The second set opens with the 6th "Runaway Jim" ever played. This early version includes an extra verse in the lyrics. I believe the verse is: "Ran away again on the night he died"-"I knew I'd be with him on the other side". Give it a listen and decide for yourself. It's an interesting look back to when the band was still perfecting the song as that verse was dropped by fall of that year. "The Sloth" and "Uncle Penn" are solid. 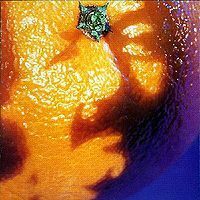 Next, this early "Tweezer" (7th time played) is a dark loose jam with the band screaming the lyrics and bantering throughout the song. Staying loose, the band then make a nice segue into rockin "Bathtub Gin". "Caravan" is another great listen where everyone takes a lead but Mike really shines while jamming out to this Duke Ellington favorite. Fishman then takes center stage to appropriately sing "If I only had a Brain", because he totally messes up the order of the lyrics until reminded by his band mates where the song begins. "Highway to Hell" is a great rock and roll ending to the set but the band seems to over reach singing the high notes. A galloping Antelope starts the encore before the appropriate show cool down of "Contact" concludes it. 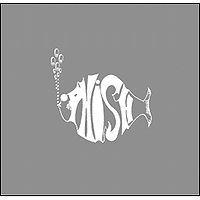 Overall looking back at the show itself, I can understand why I fell in love with Live Phish. The band was on fire at most times while being goofy at other times. You combine that with the intimacy of the venue and the friendly crowd and it provided me with everything that you could possibly want in a first show. It's no wonder I'm still seeing this band after almost 22 years. 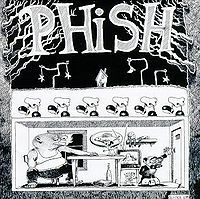 The soundboard to this show is widely circulated which should make this an easy must have for any phish head looking for early shows to even out their collection. My rating is 4 Stars but I'm biased. It was my first show after all. Unfortunately I wasn't there but listen the the recording of this gem!! Wow, what an electric show! The guys were on fire and hitting on all cylinders!! Get your hands on a copy of this show, it's a must have!!! There's something special about this show. The setlist is fairly vanilla, but the band is playing really well on this night, and it's a great SBD recording taboot! Highlights include smoking renditions of Whipping Post and Possum, a good YEM later in the set, the simultaneous debut and departure of Metal Begal Death, a ripping Weekapaug, an amusing ending to Caravan, and a funny moment in If I Only Had a Brain where Fish ironically forgets the words. There isn't anything inherently incredible about this show, as with most of 1990 (I'm starting to sound like a broken record in these reviews), but the pacing and setlist layout are excellent, there are some really nice type 1 jams to be found here, and even Highway to Hell is only kind of cringeworthy. Although this show would probably be considered average (maybe even below average!) by today's standards, it is still on the short list for best of 1990 so far along with 1/26/90 and 3/11/90. 4/5 stars, and an underrated gem of the early 90's.